The Faculty Center for Teaching and Learning (FCTL) recognizes that faculty may want information about teaching and learning that is specific to their discipline or that is presented at departmental meetings where discussions can focus on their areas of interest. 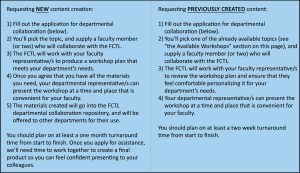 To facilitate conversations about teaching at the departmental level, the FCTL is interested in collaborating with individual departments to meet their needs. 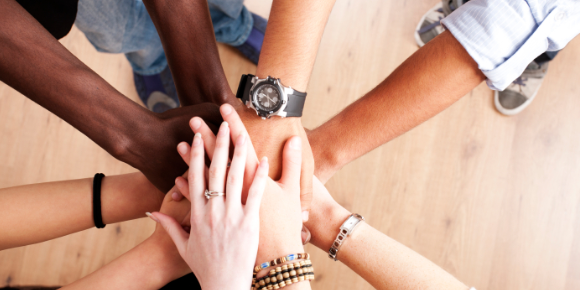 If you are a department chair or a faculty member who wants to infuse your department meetings with opportunities for faculty development, the FCTL Departmental Collaborations program is for you! What can we expect from the program? 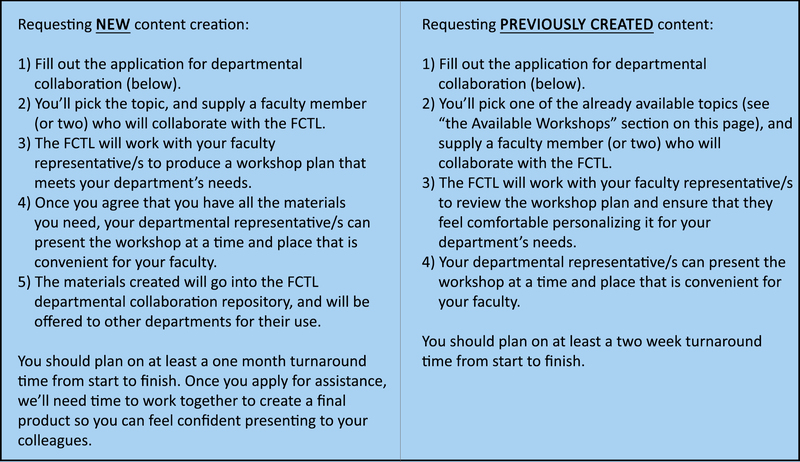 There are two main routes to becoming involved with the FCTL Departmental Collaboration Program. You can apply to have new content created for your department, or you can use previously created content. Either way, the FCTL will work with your department to create opportunities for faculty development which a member of your department can present to your colleagues. Departmental collaborations are on a first come, first served basis. Depending on the level of interest in a given semester, there will be a limited number of collaborations available. The goal is to have a bank of presentations that can be shared with departments across the college, so return here often to see what new content is available. Present a sample group activity, then challenge your department (in small groups) to develop new ones. During this session, faculty will crowd-source video and reading resources from your field that could be used in various classes, hear about a group activity technique, develop several new group activities, and learn about a resource to help them present videos to their classes. Present some basics on motivation and how to improve it through current research in the field. During this session, faculty will learn about basics of motivation. They’ll focus on the importance of aligning instructor and student expectations, and research on mindsets. Faculty will practice supporting growth mindsets and avoiding fixed ones. Lastly, we’ll close with some best practices on how to model high levels of motivation that can engage your students. Learn about a technique for encouraging student reading and opinion formation. During this session, faculty will learn about an engaging teaching technique by participating in it themselves. They’ll discuss best practices on student engagement by exploring the “Frames” technique from Barkley (2010). Faculty can use this technique to encourage students to develop their own opinions during a deep dive into content. Learn about a flexible technique for getting students to collaboratively respond to course material. During this session, faculty will learn about an engaging teaching technique by participating in it themselves. They’ll discuss several teaching methods by exploring the “Gallery Walk” IDEA from Major, Harris, & Zakrajsek (2016). Faculty can use this method in their own classes to get students to critique work, explore new concepts, or engage deeply with any course material. While ACC offers comprehensive professional development opportunities for faculty and staff, it is nice to have a personalized option for our faculty to help assure our students’ success in their chosen career path. Thank you, Dr. Patterson and the FCTL staff for making this possible.